Samsung isn't the only company making brand new elegant devices this year. IFA's annual electronic conference draws nearer and we're already seeing some jaw dropping technology. Earlier today Sony announced their brand new line of devices such as the new Xperia Z3 smartphones along with the Xperia Z3 Tablet Compact. Sony also introduced a new set of SmartWear devices such as the SmartWatch 3 and introducing the brand new SmartBand Talk. 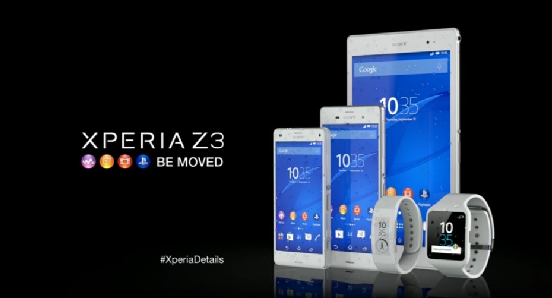 Starting things off with the Sony's newest production of smartphones, the Xperia Z3 and the Xperia Z3 Compact. Not much is different from either smartphone other than the variant in colors and different screen sizes. Both smartphones have 3GB of RAM and also run a quad-core Qualcomm Snapdragon CPU at 2.5 GHz to allow for swift screen motion and rapid launching for applications. These smartphones received an impressive IP68 rating to fully protect against water and tiny dust particles. Both smartphones also come with a 20.7-megapixel camera and it's improved 25mm G-lens which enhance the phone’s shooting options to capture brilliant, quality pictures even in dimmed light or underwater. Sony has vowed that the smartphone's battery life has also been improved slightly which can go a whole two days without charge compared to the 1.4 days in the Z2. The new "stamina mode" allows the smartphone to stop background functions when they're not running which also expands the phone's battery life. Besides the minor changes in specifications, Sony has also offered the brand new "PS4 Remote Play" which allows the users to play their PS4 games or watch a friend play all on their phone. The new Remote Play feature allows the user to play the PS4 on their handheld device without the need of using a controller although an optional GCM10 game control mount is compatible to play on either smartphone with the use of a wireless PS4 DUALSHOCK controller. The feature will require both the PS4 and the smartphone to be connected to the same Wi-Fi network as well as a decent connection speed. It'll be interesting to see how this feature plays out as Sony has already tried console gaming on their handheld devices in the past which wasn't as popular as many imagined. 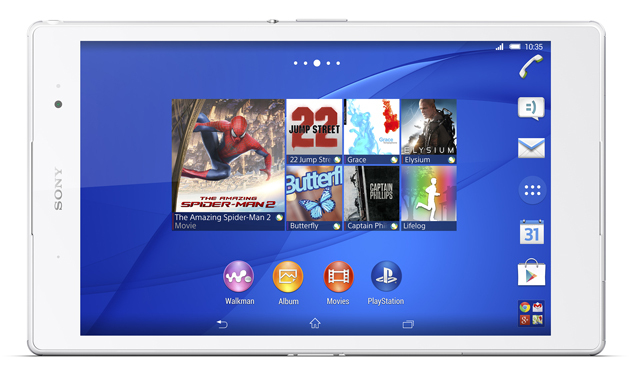 Next stop on the Sony train is the Xperia Z3 Compact Tablet. The slim tablet has an 8" display that has left many disappointed as it's predecessor, the Xperia Z2 has a 10.1" display. The tablet runs similar specifications as the smartphones with a 2.5 GHz, a Qualcomm Snapdragon 801 processor, 3GB of RAM and an 8.1-megapixle camera. The Z3 tablet will also be compatible with Sony's PS4 Remote Play feature as long as it is connected on the same Wi-Fi as the PS4 however, the gaming mount will not be available to the tablet. The tablet received another impressive IP65/IP68 rating to prevent dust particles from getting into the device as well as protecting it from water. Similar to the the smartphone series, the tablet has the "stamina mode" reappearing on this device for a longer lasting battery life. Also returning to the tablet is the enhanced camera options, camera services such as Live on Youtube and Timeshift are only a few to be making a debut on the tablet. Introducing the next successor in the SmartWatch series, the SmartWatch 3. 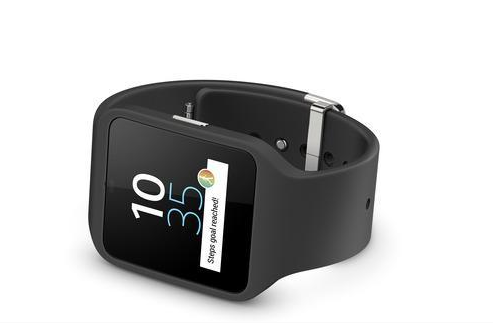 The SmartWatch 3 is Sony's first and only device so far to run on Android's wear operating system. It's brand new 1.6-inch 320 × 320 resolution and transreflective LCD gives the watch a sharper look in which Sony has commented that it will have a more detailed image outdoors. The 4GB of internal storage allows consumers to have their music on their watch and are allowed to listen to it through a Bluetooth speaker or headphones without the need of a smartphone. Another neat feature the SmartWatch uses is Sony's Lifelog application which keeps track of activities such as communicating with friends, how much you watch television, how much many steps you take in a day, and many other activities. Sony's SmartWatch 3 is only the beginning in IFA 2014's brand new line of SmartWear as Motorola, ASUS, and LG have yet to unveil their brand new SmartWear products. Finally, another brand new wearable device in the Sony family, the SmartBand Talk. The purpose of the SmartBand is to allow you to watch all of your physical activity such as the distance you walked, how much you've run, and how much you've climbed all thanks to the new altimeter technology. All of the information is displayed on the band's 1.4-inch e-ink display. As the band utilizes an e-link display, the band's battery is mainly drained throughout the use it which lasts a course of three days. The new band also allows the person to talk through their SmartBand although this requires the user of a smartphone unlike the Gear S from Samsung. Similar to the SmartWatch, the SmartBand also utilizes Sony's Lifelog application which helps keep track of daily activity on the web. None of the devices have an official release date nor and official price however, Sony has revealed that many of the product will be hitting the shelves this fall. 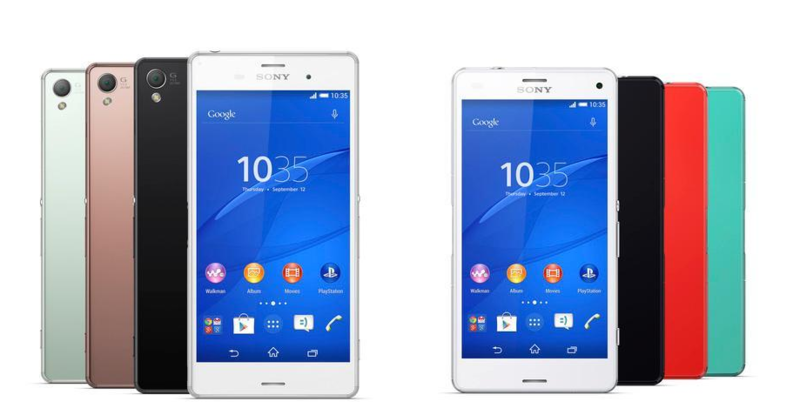 The Xperia Z3 smartphones and tablet will be available through T-Mobile with LTE and Wi-Fi models. Both smartphones look incredibly fascinating and have an excellent rating in terms of specifications. Will you be purchasing any of the new devices in the Sony family this fall or will you saving up for another expected release?